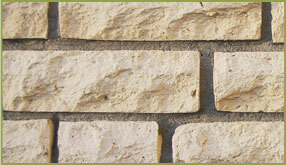 Our masonry team restores historic, modern and industrial brick and stone. We work on everything from small mortar joint repair to full tuckpointing and waterproofing. With over 35 years of experience, our masonry team can build what you design. Our focus is on custom residential masonry projects everything from new home construction to indoor fireplaces. We build custom outdoor fireplaces and grills, patios, pool decks and brick or stone walls. Anything you could imagine for your outdoor living space that will add value and enjoyment to your home. Call us at (877) 998-0030 or contact us to set up a free masonry consultation. You may wonder– how could a new home need repair? Unfortunately during the real estate boom there was a high demand for masonry services but a lack of experienced masons to do the work. Builders and homebuyers were therefore left vulnerable to inexperience contractors performing masonry work without the expertise to do the job correctly. Now there are many homes in need of inspection and often times repair. Premier Masonry offers new construction masonry and masonry restoration and outdoor living solutions. We service the surrounding areas of: Glen Ellyn, Elmhurst, Naperville, Downers Grove, Clarendon Hills, Burr Ridge, Hinsdale, Oak Brook, Western Springs, La Grange, Palos Park, Winnetka, Highland Park, Wilmette, Evanston, Lake Forest, Northbrook, Northfield, St. Charles, Park Forest, Frankfort, Orland Park and Chicago. Contact Us Today.